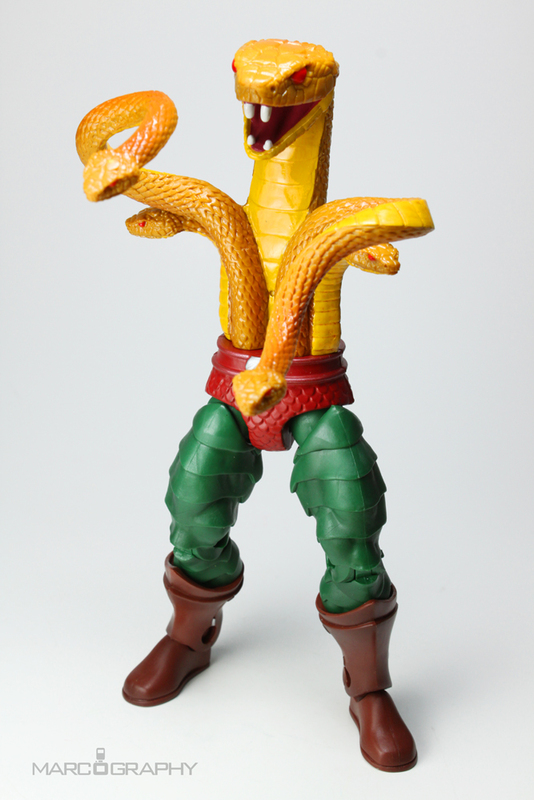 A servant of the Unnamed One, Hssss was chosen to lead an army of Snake Men to the planet of Eternia to plunder its magical secrets. 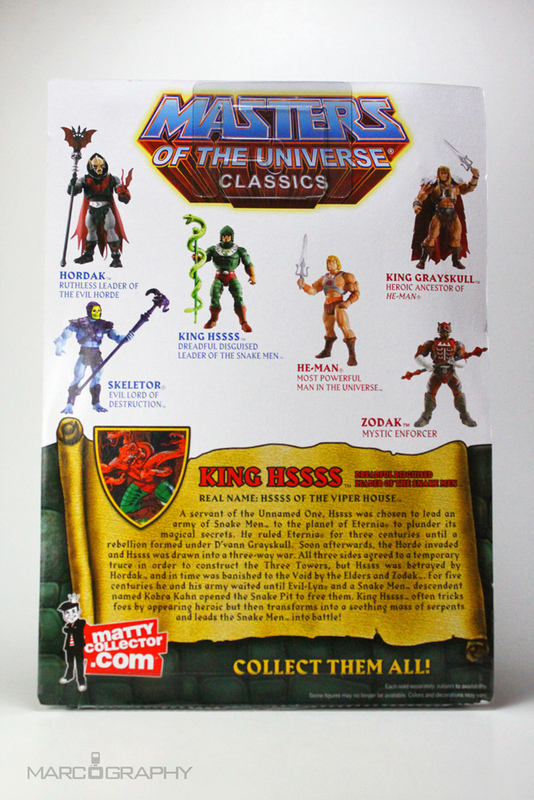 He ruled Eternia for three centuries until a rebellion formed under D’Vann Grayskull. 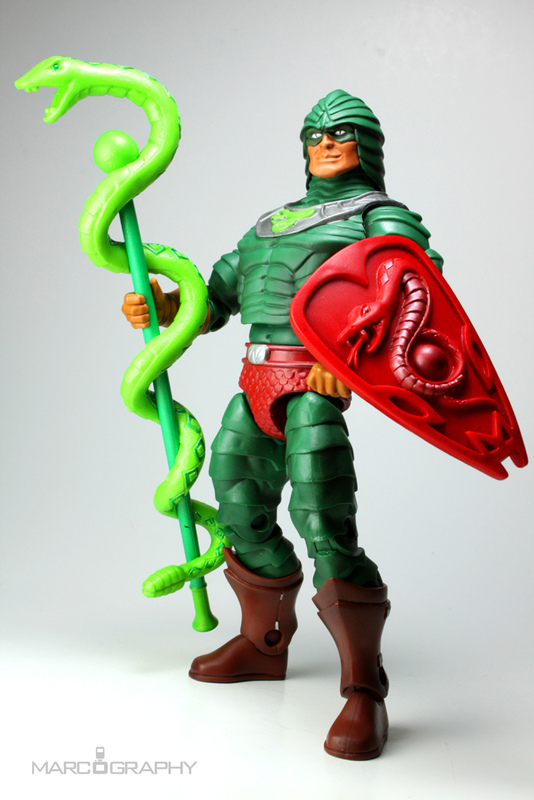 Soon afterwards, the Horde invaded and Hssss was drawn into a three-way war. 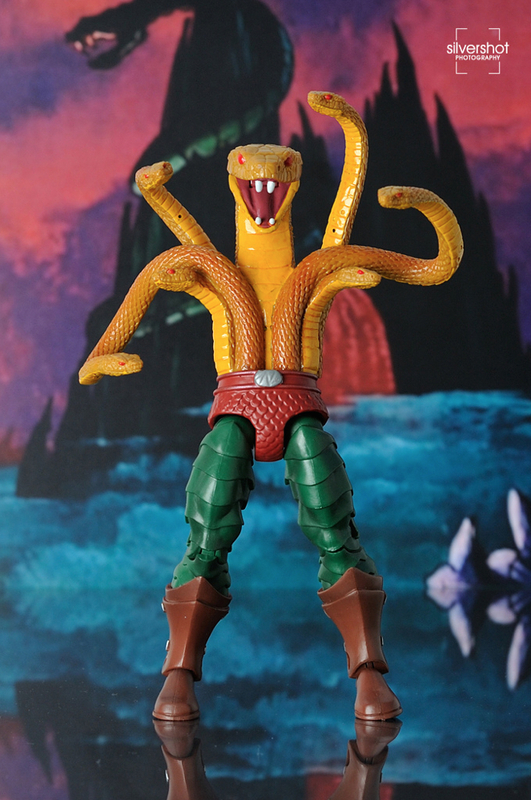 All three sides agreed to a temporary truce in order to construct the Three Towers, but Hssss was betrayed by Hordak and in time was banished to the Void by the Elders and Zodak. 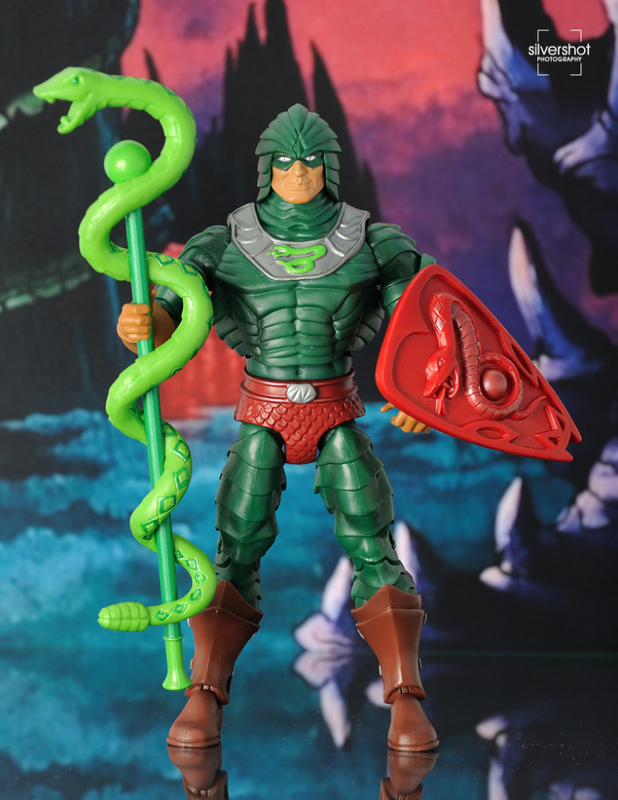 For five thousand years he and his army waited until Evil-Lyn and a Snake Men descendant named Kobra Kahn opened the Snake Pit to free them. 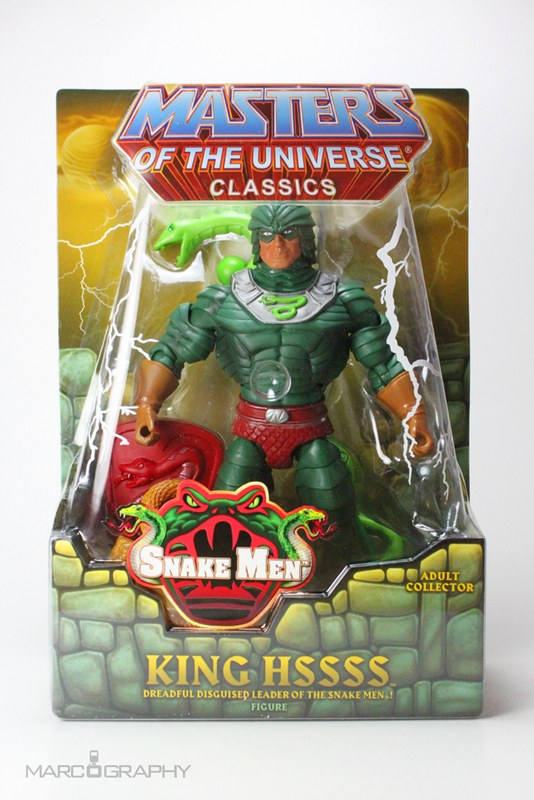 King Hssss often tricks foes by appearing heroic but then transforms into a seething mass of serpents and leads the Snake Men into battle!